Now I think I am wrong, after all, in saying that you have a soul. Ought I not to say, you are a soul? Is not the soul really yourself? In truth, my children, it is the soul that has a body, not the body that has a soul; for the soul is greater surely than the body, and will last when the body is laid aside in death. The idea originated earlier than Walsham, all the way to Luke 10:27: “Love the Lord your God with all your heart and with all your soul and with all your strength and with all your mind.” A lawyer had asked Christ for the path to eternal life. Old Testament and New Testament, and most of us are still neglecting our soul. For most of our lives, we’re busy with our jobs (minds in use) while we concentrate on good things to eat and exercise to do (body in use). We enjoy our time with our families and friends. And we neglect the Soul–except for a little bit of time on Sunday, if then. We have no trouble remembering our bodies. It constantly reminds us of its needs: Feed me. Take me to the bathroom. Let me sleep. Get up and walk, you lazy bum. We remember our minds, for it will chatter at us: What do we do next? Should we turn there? Who on earth is that? I’ve forgotten. It’s on the tip of your tongue. Write that down so we’ll remember. Our hearts crave relationships: husbands and wives, children and parents, sisters and brothers, grandparents, cousins, aunts and uncles. Friends, more friends, close friends, mere acquaintances. Wish I knew how to keep my boss happy. How can I help that homeless man? My neighbor is sick; I’ll take her some soup. And so on. We build circles upon circles, ever expanding spheres of contact with others. How often do we allow ourselves time to connect to our souls. “But I go to church,” you retort. Is that enough? Don’t you feel a yearning for more? The 2 * 0 * 4 Lifestyle can give you more. It focuses on the mind and the body and the heart AND the soul. Set goals for all four parts of your life. Motivate yourself with daily check-offs. Use progress meters to evaluate shifts of focus or new changes to make. How can one planner help me with this? Come back tomorrow for more information in our week of promos. We have seven different covers to highlight. Or head over to Amazon. 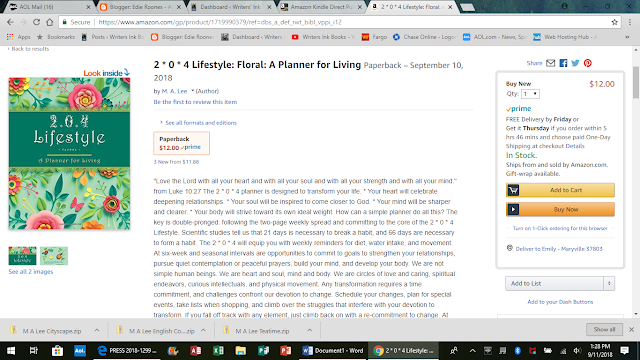 Currently priced at $12.00, this planner is a bargain for a year’s worth of guidance. And you will have a beautiful cover to spark joy every time you see it. 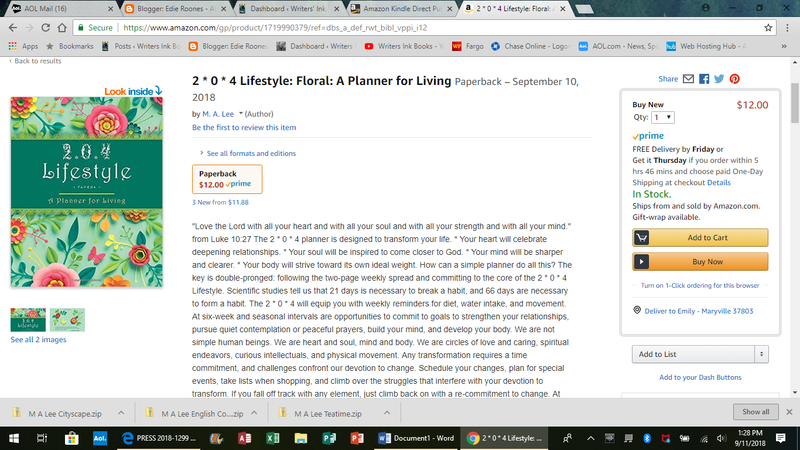 Find the floral 2 * 0 * 4 here, exclusively on Amazon.